Do you like friends imitating you blindly? I had a childhood buddy who was into this noisome habit of emulating whatever I would try to do and mind you, it's not at all interesting when friends try to copy your dressing or emulate things you are involved in. It just makes you feel that your friend is trying to get into a competition with you. It's irritating. It does not end in one thing, it just goes on from one thing to another. It spoils the spontaneity of the friendship. My friendship with my childhood friend did fall apart because of her constant nagging ways to compete me. These friends will never waste a word in praise of you, but you can feel that whenever the next good thing you engage yourself with, they do the same. If you get into baking class, they will do the same. If you go for painting, you will find them waving at you from the last row of the painting class. If you buy a set of goggles, you will find another pair in their bags the next day. If you start writing poems or making any literary composition, next day you will find them attempting the same. But never will you see them passing any compliment to you. I wonder why ideas don't pop into their nutty heads on their own. Why do they have to derive passion out of watching their friends do something? Passion is never developed by copying someone. It is there in your heart. Just because your friend, you might look up to or feel slightly jealous of, engages himself/herself with something, you don't necessarily be toeing the same line. Hobbies are not a place for competition. Hobbies are something followed out of passion. Finding the right passion is more important than doing the one your friend is doing. 1) Blanch the spinach in boiling water. Drain and keep aside. 2) Heat oil in a pan. When oil becomes piping hot, add dry red chillies and let them sputter. 3) Add onion and ginger. Fry till translucent. 4) Add the spice powders and blanched spinach. Add cream cheese and sour cream. Stir in to mix. 5) Turn the heat off. Cool down the mixture before transferring it into a blender or food processor together with green chillies, tomato and coriander leaves. Grind into smooth puree like consistency. 6) Now pour this spinach mixture into the same pan earlier used for cooking and heat over medium flame. 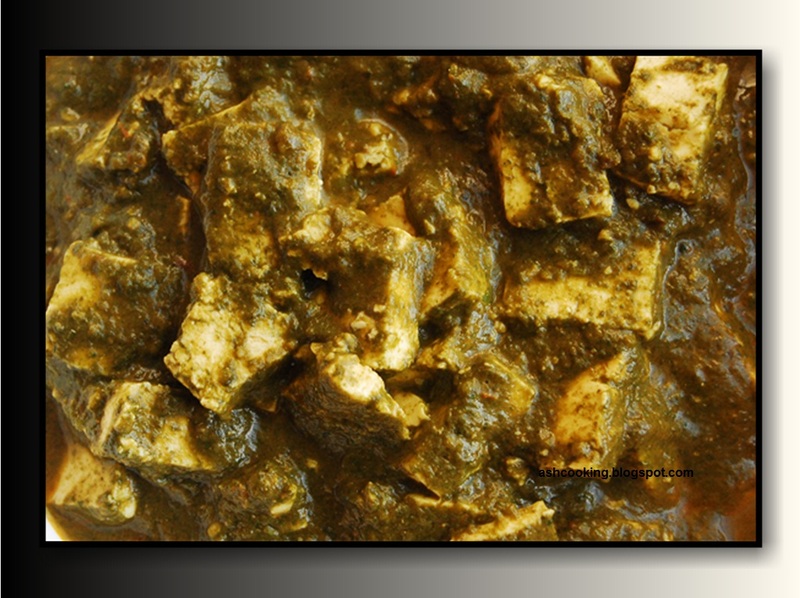 Toss in the paneer and simmer away for 2-3 minutes. Mix in salt. 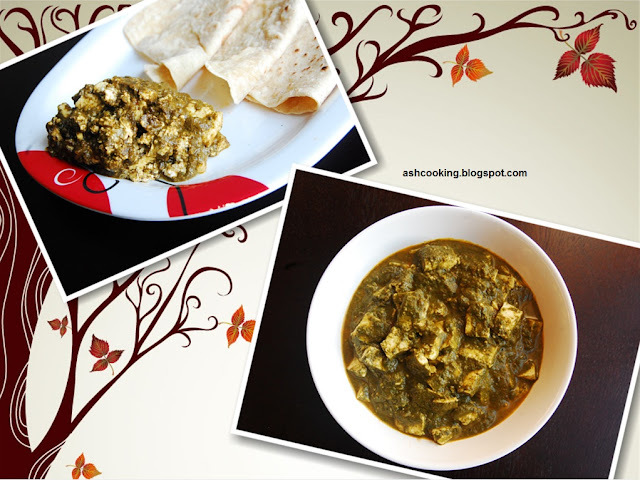 7) Serve hot with paratha, roti or rice.